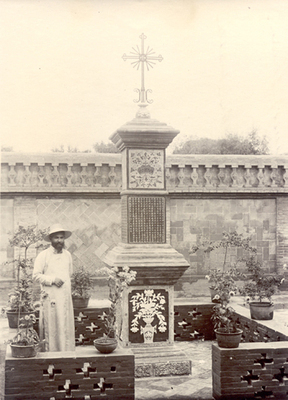 Memorial Monument, 1900 Boxer Martyrs in Shanxi. Shanxi, China. B/W Photo.